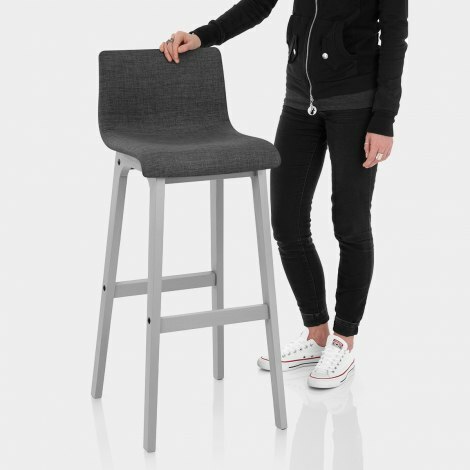 The Coast Bar Stool Charcoal Fabric has retro style with modern finishes that are perfect for those seeking the minimalist look. Fashionable and funky, the Coast is a fantastic model set to bring both rustic charm and cool contemporary style to your bar. Comfort is ensured with the plush charcoal fabric that covers the contoured seat, which is also filled with dense padding. 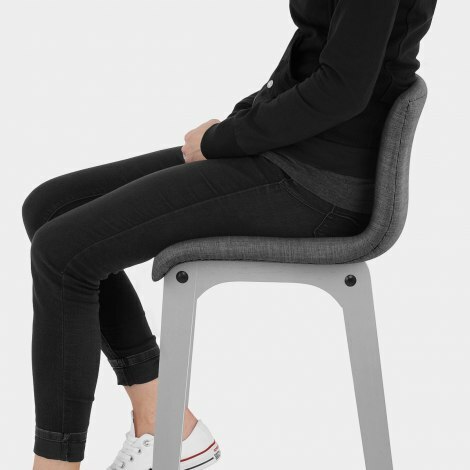 This is accompanied by a medium height backrest for extra support. 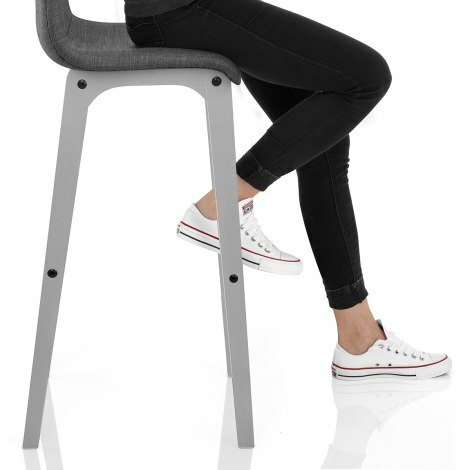 In harmony with the seat colour, the oak frame has a light grey finish that creates a cool and co-ordinated design. Fixed at standard kitchen worktop height, the legs are reinforced by bracing bars that also add a footrest. First class service, each member of staff I have spoken to has been most helpful. My stools arrived promptly and were very well packaged. I would recommend Atlantic as a good and reliable company to shop with. We took ages deciding which bar stools to go for. These are perfect and excellent value for the quality. They are comfortable, sturdy and stylish. The colour and quality of the fabric is great as well as the leg colour. Great customer service and delivery. My husband assembled them. They took about 30 minutes each and was straight forward. Good quality arrived on time, sitting on them now. Spent a few months looking for the right stools, as soon as I saw these I had to have them. The only thing was that they had no reviews. Originally looking at the Drift Oak & Charcoal Fabric Stool, then I saw these. Very similar perhaps a newer model. WOW these are perfect, very pleased and are a perfect addition to our new kitchen. They are well made and fairly easy to put together, would recommend taking your time and read through the instructions. This is my first review on any website, I had to write one as they are such a good buy and they needed a review.